AGB Activity Group of Belarus - Club have DX-program, DX-Rating, awards, trophy , contest programs and bulletins by internet & book. K6XX Amateur Radio articles - An assortment of Amateur Radio-related technical articles written for the JUG, the newsletter of the Northern California Contest Club. Topics include unique but simple and useful radio modifications and accessories, and rig reviews. Crystal Radio Resources - Comprehensive site for crystal radios. 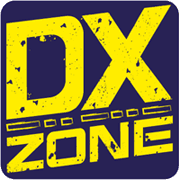 Info on the third annual xtal set bcb dx listening contest.